Dr. Kimberly Shotwell is an Adjunct Assistant Professor in the Master of Arts in Teaching program at the USC Rossier School of Education. Her areas of expertise include teacher education and teacher learning, teacher and elementary language arts/literacy instruction, learning theory, literacy acquisition, and online learning. Dr. Shotwell’s research interests include teacher preparation, induction and in-service development and teacher educators’ navigation of educational policy. She currently teaches EDUC 518: Application of Learning Theories to Classroom Practice. Dr. Shotwell holds an EdD in Curriculum and Instruction from the USC Rossier School of Education. Prior to her doctoral studies, she obtained her ME at Whittier College as a Teaching Fellow. She taught CHDV 290, Child Advocacy at Whittier College and worked as a Demonstration Teacher at The Broadoak’s Children’s School for six years. 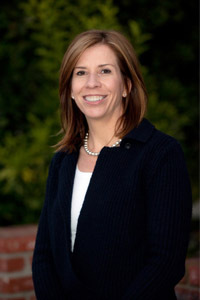 As an undergrad, Dr. Shotwell studied Cultural Anthropology at the University of California, San Diego’s Roosevelt College.